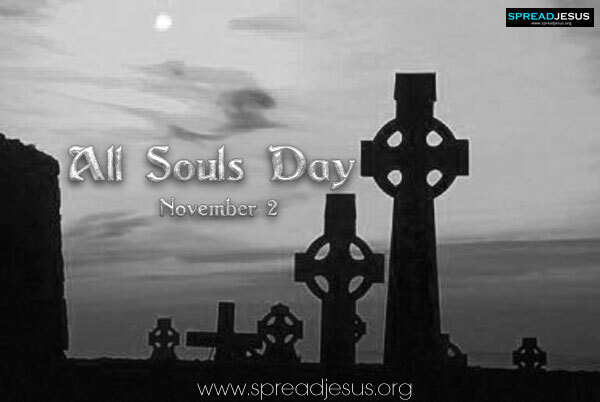 All Souls Day falls on the 2nd of November every year. 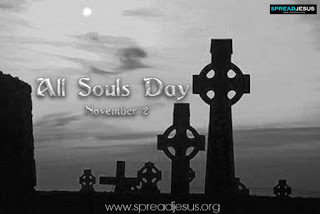 It is primarily a day for remembering the departed souls and is observed mainly by Catholics and Anglicans. The official name of the celebration in the Roman Rite liturgy of the Roman Catholic Church is "The Commemoration of All the Faithful Departed". The All Soul’s day was also known as the Graveyard Feast / Cemetery Feast or “Kalrai Thirunal”(in Tamil).Even though it was a Christian day of remembrance for honoring the departed souls, it was celebrated as a Festival for remembering the dead even by non-Christians and people of other communities as well. This is one example of the communal harmony that existed between the different communities of KGF where its secular nature was unparalleled. Today being All Soul’s Day, it brings back many memories of this day in KGF when we were growing up. The Cemetery in KGF has the graves of three generations of our family on our paternal side. All my dad’s ancestors lived and worked in KGF since almost the beginning of the mines in the late 1800s. My dad’s forefathers came in from England and Scotland to earn a living in KGF and eventually died in this place. There are almost sixty graves of our family members in the Catholic Cemetery in KGF. The Cemetery also has a number of graves of other old families of KGF. There are also graves of many Britishers, Italians, French, etc. who were all employees of the KGF Mines and who died there either naturally or as a result of the Rock Bursts and accidents underground in the mines. Most of these graves lie unattended and forgotten as their dependents are no longer in KGF. All Souls Day falls on the 2nd of November every year and a week before this, my dad would send a team of his workmen to the Cemetery, to repair, clean, paint and generally do up all the graves of our deceased family members. His workmen would work really hard painting the graves and getting the surroundings cleaned. On the morning of All Souls’ Day, we would all help to make around 75 wreaths at home, with silver oak leaves and flowers. Isaac our faithful house boy would make the outer Rings or circles out of mulberry branches and stems from the garden. All of us would sit on the ground and arrange the silver oak leaves and ferns around the rings and fasten them with twine. Then the asters, lilies, daisies or roses (that were specially brought in from Russell Market Bangalore) would be arranged around the wreath and fastened with twine. In the evening, we’d take all the wreaths and loose flowers to the Cemetery and go around placing the wreaths on the graves of our dear ones, pausing and praying for the repose of their souls. We would meet a lot of our friends and relatives in the cemetery that day as everyone had some departed member of their family buried in the Catholic Cemetery in KGF. Since, All Soul’s Day morphed in to a feast day for remembering the dead, there was a carnival like atmosphere around the 4 Cemeteries. Vendors selling flowers, candles, balloons, sweets, savouries, etc. After we visited all the graves and prayed for the departed souls, we would have a gala time buying balloons, blowing whistles made of pieces of bamboo, hair clips, plastic sun glasses, etc that the vendors sold outside the cemetery. It was a colorful and noisy feast with lots of people milling around and the vendors doing brisk business selling these toys, ground nuts, hot stuff, sweets, colored ribbons, glass bangles, flowers, candles, etc. The All Soul’s day was also known as the Graveyard or Cemetery Feast or “Kalrai Thirunal” in Tamil. Even though it was a Christian day of remembrance for honoring the departed souls, it was celebrated as a Festival for remembering the dead even by non-Christians and people of other communities as well. This is one example of the communal harmony that existed between the different communities of KGF where its secular nature was unparalleled.